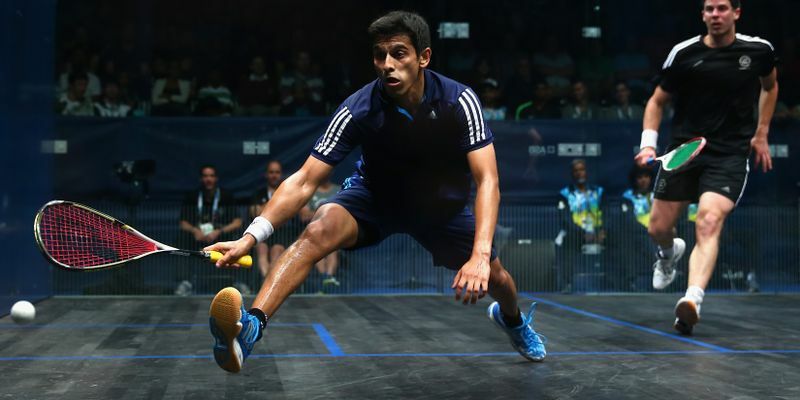 National squash champion Saurav Ghosal was the only Indian remaining out of the three players at the end of the first round of the men’s draw of the World Squash championship on Sunday. Both Mahesh Mangaonkar and Harinder Pal Sandhu, who had come via the qualifying phase, exited in this round. Manchester: National champion Saurav Ghosal was the lone survivor among the three Indians at the end of the first round of the men's draw of the World Squash championship here late on Sunday. Both Mahesh Mangaonkar and Harinder Pal Sandhu, who had come in via the qualifying phase exited. Ghosal too was a touch lucky because his first round opponent, ninth-seeded James Willstrop of England retired after playing and losing the first game 6-11. Ill health forced the Englishman to quit. The match had lasted just 10 minutes before the abrupt end came. Ghosal will now meet England's Ben Coleman who had beaten Sandhu 11-4, 11-6, 11-4, in round two. Earlier Mangaonkar was beaten by the 13th seed Daryl Selby, also of England. Selby won 11-8, 11-5, 11-5. Joshna Chinappa and Dipika Pallikal Karthik are the two Indian representatives in the women's section and they play their first-round matches late on Monday.